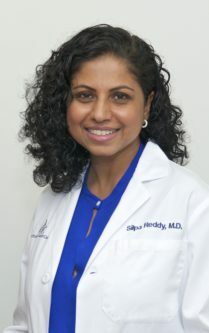 Dr. Reddy joined Atlanta Cancer Care in 2000 after completing training in internal medicine and fellowship training in hematology and oncology at Emory University School of Medicine. She is a board-certified hematologist and medical oncologist with expertise in treating solid tumors, blood cancers and hematologic disorders. Her integrative approach to patient care focuses on incorporating complementary and alternative medicine practices. Dr. Reddy serves as the Vice President/Treasurer of the Atlanta Cancer Care Foundation.